This episode of the podcast is the first of a cooperative project with the Chengdu-based co-working space and restaurant Berlin Haus, in the “Haus Guests” series where we speak with local personalities. In this first episode I speak with Carl, a British expat who’s positioned himself as the center of Chengdu’s expat motorcycling scene after years of expeditions around Chengdu and across China. 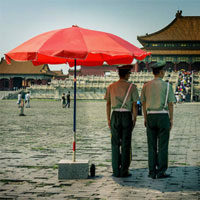 Note: this podcast has chapters which you can use to navigate to different topics in the conversation. These will appear only if you are listening to the podcast app which supports chapters. If you are using an iPhone, we suggest Overcast which is a free download. Or click below to listen to the podcast now through your browser. You can also search for the podcast in your favorite podcasting app. If you enjoy the podcast, please share and spread the word. 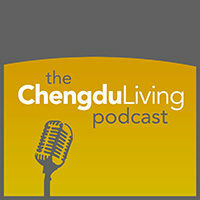 Follow us on Facebook and Twitter and subscribe to the podcast to stay up to date with Chengdu Living content.